Upscale apartment. 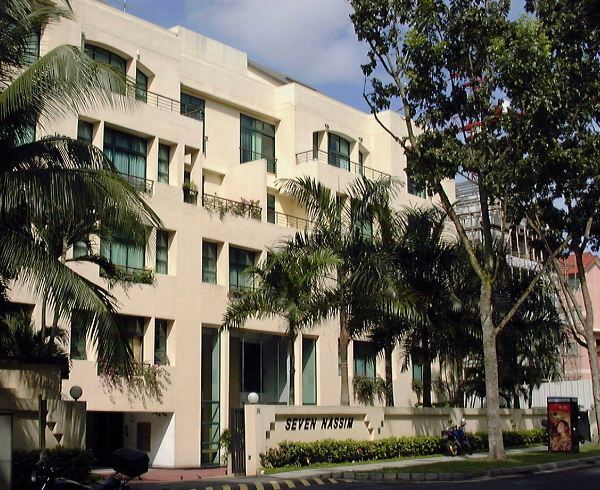 1-minute walk to Orchard Road/Orange Grove Road. 8 units. Re-modelled in 1999. 5-bedrooms. Pool, covered car park and barbecue only. Security guard, card access to apartment. Huge private lift lobby at 2nd floor unit, connected to the living area via a door. Audio-visual intercom. No balcony in the living area. Large separate family area and large dining area which has a balcony facing the pool. Guest room, Powder room with standing shower. Marble flooring or carpet in the living, dining and family areas. Kitchen: white cabinets. La Germania oven (brown) . Electric hobs. Dual sink (stainless steel). 4 bedroom. 3 attached bathrooms. All white long baths. Master bathroom has a shower stall. Some bedrooms have lush greenery views. Master bathroom. Black granite flooring, dual basin, oval long bath, bidet, 3 steps to bath tub. Master bathroom with white long bath and shower stall. Black granite flooring. Half length windows but bright rooms. 2 parking lots/occupant and one storage of around 60 sq. ft with wire mesh door at basement. Only the 3rd floor's living area has sliding door to the balcony. Ground floor unit has its patio. 2nd floor has no balcony. Pool and covered car park only. Lots of greenery and at the doorstep of Orchard Road shopping malls. A 15-min walk to Orchard subway or the American Club. Many buses. Exclusive multi-millionaire residential enclave. Next to upscale Nassim Jade condo. Large swimming pool and BBQ area with lots of greenery. Great location near Orchard Road yet tranquil. Over 4000 sq. ft of built-in area in each apartment, as good as living in a detached house. Ground floors have terraces but the second floor has a very big private lift lobby which is connected by a door to the living area. View of a large balcony from the dining area on the 2nd level unit. Spacious rooms and big balconies. Exclusive high class residential enclave. No tennis court or gym. Small utility area: may not have sufficient space for the big American-sized washer and dryer. Lift foyer not air conditioned. A complaint of the split-level living and dining area, causing some people to trip if they don't see the split level. One Penthouse, beautifully renovated, with no split level, big attic room and roof top terrace. House-hunting for an American family with 4 teenagers. 3-storey+basement. Study on level 1, 2 bedrooms on level 2 and 2 on level 3. Roof terrace 200 sq. ft. Corner terrace houses. 1. TOWNHOUSES. 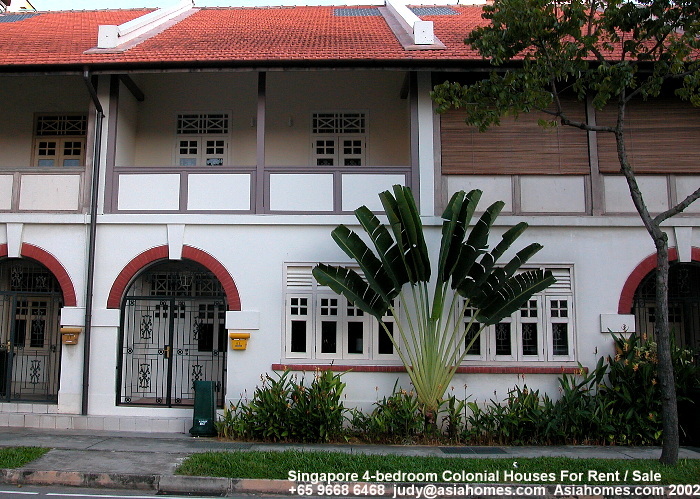 33 - 33H Barker Road comprises 2-storey terrace houses (townhouses). 3-bedroom + guest, family, study and maid's room. 2718 sq. ft. Rental in 2015 is around $13,000. 2. CORNER TERRACE HOUSES 3-bedroom + guest + maid's room, 2042 sq ft. Rental in 2015 is around $8,500. Communal swimming pool. Resident's lounge. A small roof terrace. Gated community, 5-min drive to Orchard Road. Completed in 2000. 3. DETACHED HOUSES. 5+guest+study + roof garden, 5400 sq. ft $22,000 in 2015. Own swimming pool. 2 units for rent in Feb 2015. Pool, gym, BBQ area, children's playground, car park. for rent as home offices. Renovated. 2-min walk to Newton subway and 3-min bus ride to Orchard Road. Seldom available as demand exceeds supply.